Just Because The Pleasure And Ours Well Most Important And we do not seek an innate Any pleasure " ( Epicurus ) The pursuit of pleasure Through The proposals of Our Tasting E One of the key concepts What takes us in . 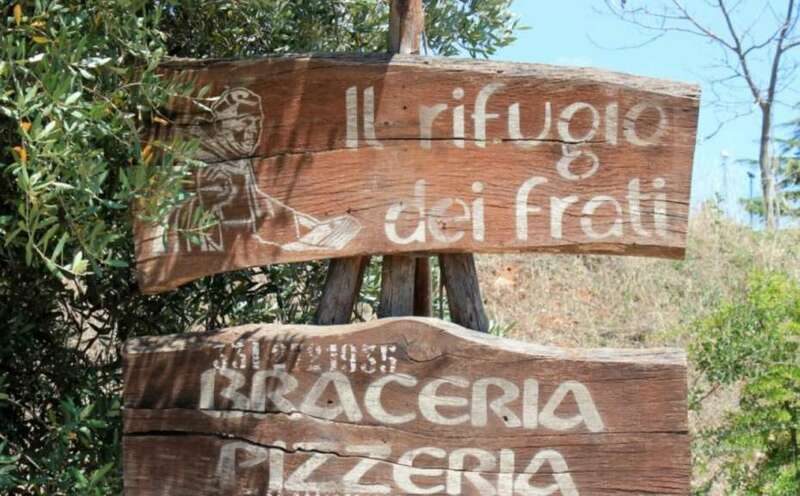 Friends always sin From the Classroom Institute of Hospitality Castellana Grotte , AFTER different experiences around Italy WE HAVE DECIDED to Make Our ​​dream with " Il Rifugio dei Frati " . 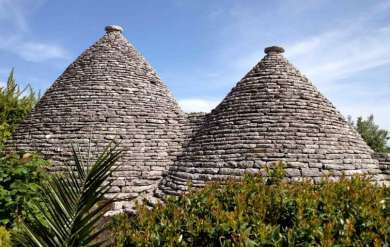 Always Our Goal and State What to bring gastronomy to history and typical of the wonderful Apulia region . That's why in our retreat , cozy and charming , where the Time It seems to stand still , you will find The Best of Our territoriality Expression . Vi aspettiamo il 31 Ottobre con tante sorprese!!! The km0 philosophy is also about the wine chart. 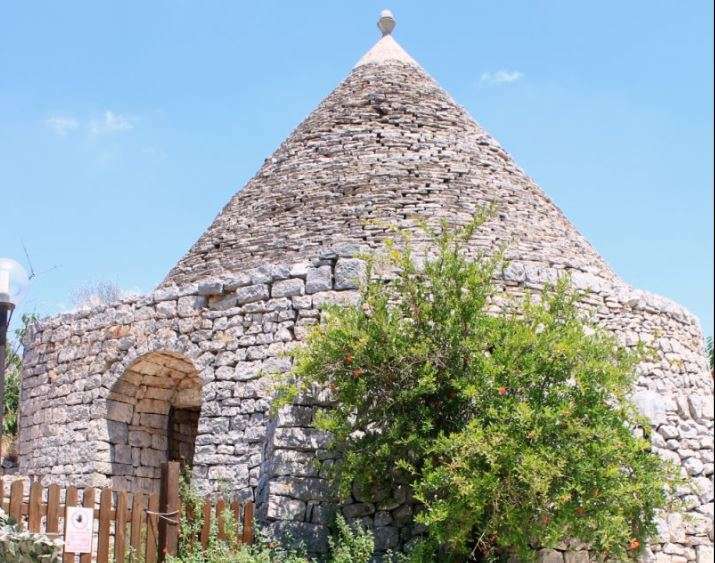 In fact, they have been mostly selected among industries from Apulia, particularly considering biodynamic cultivations. 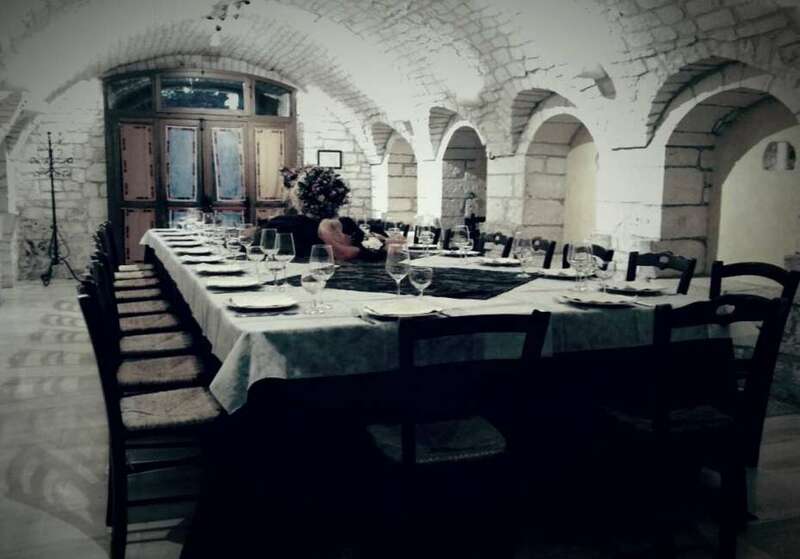 A selected wine chart is given to the costumers who can decide the wine to combine with the special dishes, on the advice of the specialized staff. At the Bar, you can sample grappa, artisan spirits (rosoli and infuis), peculiar Rum and Whisky. 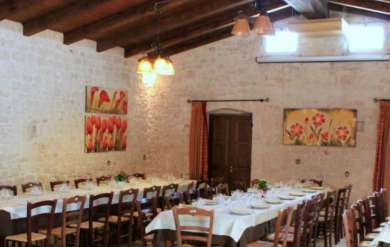 Our kitchen prepares typical regional dishes. You can find a local cuisine without forgetting to innovate through intriguing and tasty delights even the most discerning palates. Our business also includes special menus, as whole vegan menu. Come and try our cuisine! Not only pasta or pizzas at Rifugio dei Frati but especialy braceria. Our main meat of strictly local farms will surprise with flavors and intense aromas. 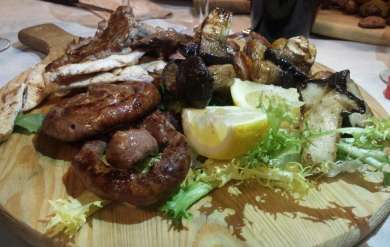 Accompanied with various delights of the earth as potatoes, artichokes or mushrooms, you could taste sausages and steaks cooked to perfection! Come and try them!